We develop the LinkedTV player as a Web-based toolkit with support for sharing audiovisual content and the associated LinkedTV enrichment across multiple screens on different device types as well as providing for distinct domain-specific User Interfaces besides a shared, generic UI for any content. 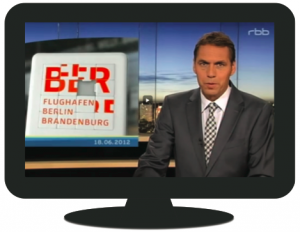 A HbbTV variant of the LinkedTV player will be shown during IFA 2014 (Berlin, September 2014). The current implementation also supports remote control or gesture control interaction with the TV content. 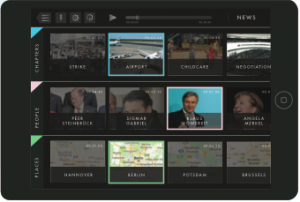 The player streams the seed video from the original source onto the “main screen” and synchronizes on playout the video annotation information from the LinkedTV platform being displayed on a “companion screen”. Concepts are highlighted as the associated TV program fragment is active, and on selection the viewer accesses links to related Web content (enrichments). In the Year 2 player implementation, the detected entities showed on the second screen will always be grouped into three different layers by dividing entities based on “who, what, where” to identify respectively persons, objects and locations. The player can be seen in action in our Hyperlinked Documentary demos. The player is driven by a toolkit for synchronising content across screens, called Springfield. 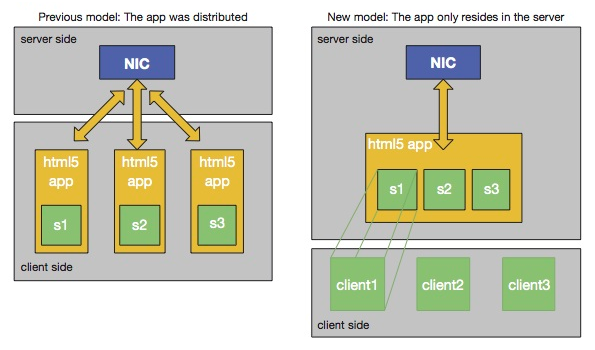 We developed a concept where an application can be independent of how many screens are involved and can in fact dynamically react to changes in the amount and types of screens attached to the application. We currently support all HTML5 based desktop browsers, android phones and tablets as well as Apple (iOS) phones and tablets. Developers can program using any J2EE toolchain (we use Eclipse and Tomcat/Apache) use the normal compile and deploy tools (using the jar and war standards). The main difference is that unlike normal wars that need to be deployed to a J2EE application server you now deploy the application to a newly designed deployment area inside a Springfield cluster.